I finished my quilt top (week 4) for the Old Red Barn Co. quilt-along! I'm really happy with the way it turned out. So far, so good. I bought my batting and backing, so now I'm ready to make my quilt sandwich and do some quilting (week 5). I'm definitely going to do some practicing first, though, because I am scared to death of this part! I forgot to write about these two small projects that I did a few weeks ago, so here they are. Quilt-along fabrics, plus one not pictured that came separately. Now I just need some pins and thread! Sorry about the dark picture, but I finally finished my quilt top! It only took 10 minutes, so I don't know why I procrastinated for so long. First impression: what was I thinking? It's huge!!! Oh well. It's a little late now for choosing a smaller size. I have the batting, backing, and binding materials, so I'm all ready to make my quilt sandwich and start quilting. I also sewed my first fabric basket for storing scraps. I followed this tutorial, and it definitely ended up smaller than I expected. I guess the whole "2x2 inch squares" should have tipped me off. Oh well; my tiny scraps fit just fine. I used a fun fabric for the lining that apparently used to be a shower curtain. Now my basket sits on one of my new shelves. One down, a bunch more to go! Pinwheels in the Park by Four Wise Monkeys for Sew, Mama, Sew! Mod Sampler Quilt by Oh, Fransson! 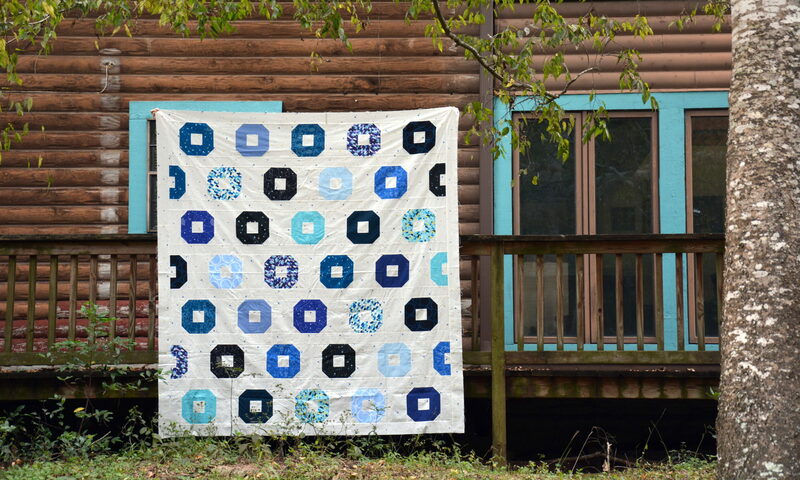 Nine-Patch Lattice Quilt by Oh, Fransson! New Wave Quilt by Oh, Fransson! Charm Squares Baby Quilt by Oh, Fransson for Sew, Mama, Sew! Pixel Heart by Oh, Fransson! Dresden Plate Block by Oh, Fransson! 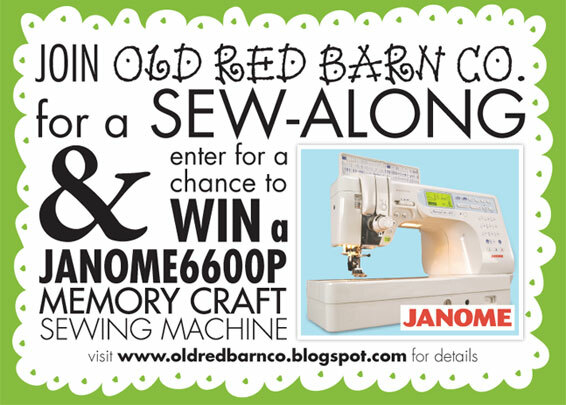 for Sew, Mama, Sew! Mod Mosaic Blocks by Oh, Fransson! Scrappy Hedgerow Blocks by Oh, Fransson! "Map of the States" Blocks by Oh, Fransson! 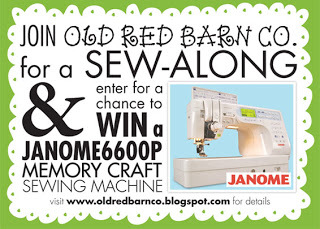 Prairie Point Houses by Anjeanette for Sew, Mama, Sew! Crazy Nine-patch Blocks by Oh, Fransson! Scrappy Blocks by completely cauchy. Barn Bats Block by Oh, Fransson! Starry Autumn Sky Block by Old Red Barn Co.
Dogwood Quilting Pattern by Oh, Fransson! DIY Sampler Quilt by Sarah Quilts for Sew, Mama, Sew!